Imam A. El Marzuq joined the RSPO in April 2012 as a Task Force SH & Dispute Settlement Facility Assistant Manager based in Jakarta, Indonesia. Prior to his work with the RSPO, he spent 6 years working for Sinar Mas Forestry – a pulp & paper based forest plantation company, as the Head of Forest Management Information System. 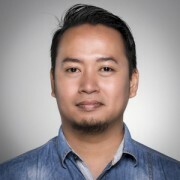 Imam graduated in 2005 with a degree in Forestry Management from Gadjah Mada University, Indonesia.